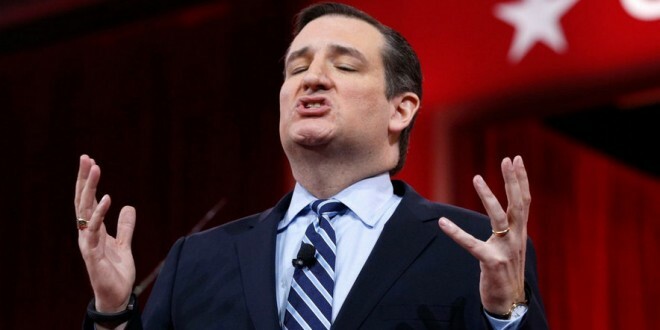 HYPOCRISY EXPLOSION: Ted Cruz Says Liberals Are Afraid To Denounce Muslims That Want To Kill Gays - Joe.My.God. For all the Democrats who are loud champions of the gay and lesbian community whenever there is a culture battle waging, now is the opportunity to speak out against an ideology that calls for the murder of gays and lesbians. ISIS and the theocracy in Iran (supported with American taxpayer dollars) regularly murder homosexuals, throwing them from buildings and burying them under rocks. This is wrong, it is evil, and we must all stand against it. Every human being has a right to live according to his or her faith and conscience, and nobody has a right to murder someone who doesn’t share their faith or sexual orientation. If you’re a Democratic politician and you really want to stand for LGBT, show real courage and stand up against the vicious ideology that has targeted our fellow Americans for murder. We wonder why Cruz himself didn’t display such heroism when he spoke at a conference late last year where the main speaker, Kevin Swanson, a long-time and notorious advocate of the government instituting the death penalty for gay people, said repeatedly on stage that the Bible calls for gays and lesbians to be put to death and argued that America should introduce capital punishment against unrepentant homosexuals once society is moved in that direction. That conference was also attended by Cruz’s father and his then-rivals Mike Huckabee and Bobby Jindal. The summit, called the National Religious Liberties Conference, even distributed literature calling for the death penalty for gay people and others, mentioning stoning and throwing people off cliffs as possible forms of executions. And yet now Ted Cruz has the gall to lecture liberals about the importance of showing “real courage” in the face of those who want to put gays to death.